Designed to be laid under screeds, concrete slabs, flooring grade t&g particleboard, OSB, plywood. The dual density enables the insulation to be laid over a slightly uneven surface, with the lower density layer absorbing imperfections and the high density surface providing excellent point load resistance. Offers excellent thermal, acoustic and fire protection insulation. Water repellent, rot proof, and suitable for use in both wet and dry constructions; requires a dpm to protect against rising damp. Rockwool insulation products do not contain blowing agents with an ozone depletion potential (ODP) or global warming potential (GWP), are CFC-HCFC-HFC free and 97% recyclable. They will not react with metal components or cause loss of plasticiser from PVC cables and pipes. Excellent acoustic and thermal properties. Minimises thermal and acoustic bridging. A1 to BS EN 13501-1. The product information below is from the NBS Plus library of product clauses offered in NBS specification products. It has been created by NBS for ROCKWOOL Ltd. Each product clause is authored in NBS format and is intended for inclusion in project specifications. 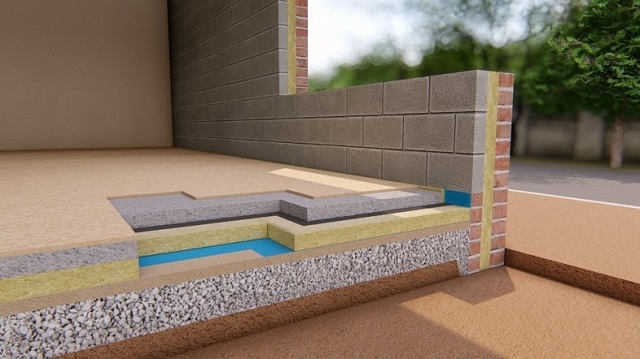 Please note that NBS product guidance is not a replacement for the manufacturer's literature and it is recommended that ROCKWOOL Ltd be consulted before specifying.